Runner looking at his sport smart watch. To check his fitness performance in real time. White male in red shirt. 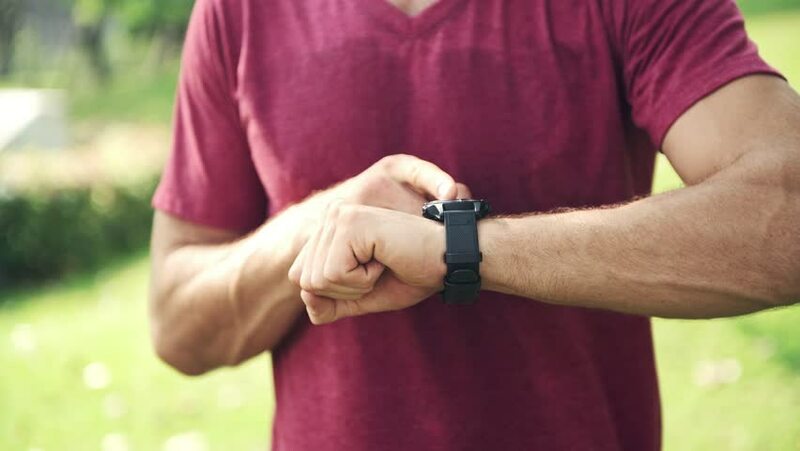 4k00:11Fitness man using a smart watch in park. White male pressing button on his smart sport watch to keep track of his fitness activities. 4k00:16Man using a smartphone device on a green screen chroma key background easy to replace with your content. Shot in 4K UHD resolution. 4k00:13Man is cutting his nails by Clippers. Close-up hands. Grey t-shirt in the background. 4k00:10Young man portrait. White male with beard smile in front of camera with nature scene in background. 4k00:11Man dancing on the urban street. Half naked fit white man took his cloth off in the middle of the street and start dancing. 4k00:10Runner looking at his sport smart watch. To check his fitness performance in real time. White male in red shirt. 4k00:08Street dancing. Young white man dancing on street like crazy in urban city. Crazy dance concept. 4k00:09Street dancing. Young white man dancing on street like crazy in urban city. Crazy dance concept. 4k00:11Young man screaming portrait. White male in red shirt screaming loud and acting crazy in urban background setting. 4k00:11Young LGBT using smart phone in urban area. White male in public flyover using smart phone to check his notifications. Mobile technology concept. 4k00:12Man warming up on urban street. Fit white man doing warming before his run on the street.